Today is St. Patrick's Day. It's a day we celebrate with family and friends, lots of laughter and good spirits. Needless to say today is different, celebrated with a heavy heart. Jen found a poem Gina had written a few years ago. The poem was titled "Where I'm From." In that poem there is a line that reads "I'm from Italy and Ireland, spaghetti and corned beef." Gina was proud of her Italian-Irish heritage. 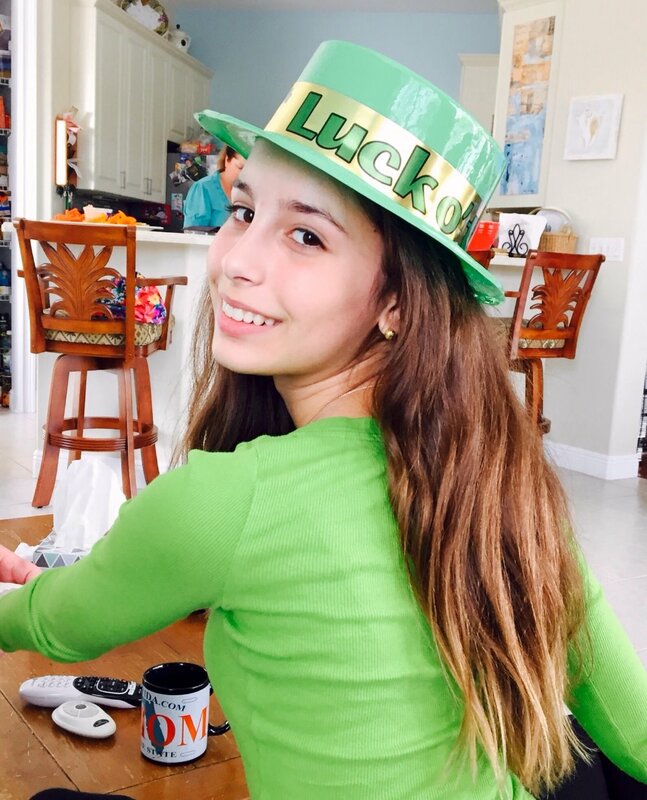 She loved St. Patrick's Day and our celebration. Each year since she was in 2nd grade she baked a soda bread for our family. She loved to tease her mom while cooking the corned beef and cabbage in the kitchen. Gina would say that St. Patrick's Day was her 3rd favorite holiday. At her funeral the Archbishop of Miami spoke of an Irish headstone which reads "death leaves a heartache no one can heal, love leaves a memory no one can steal. Today we feel the truth of those words.